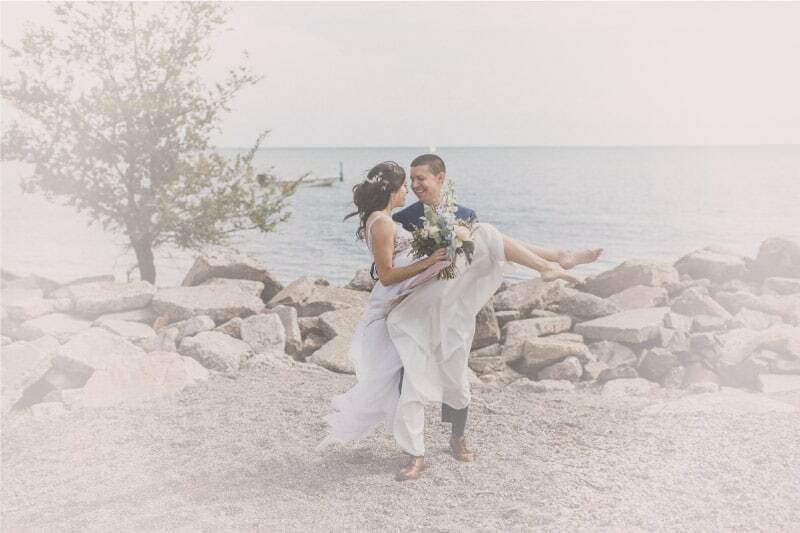 At Valencienne, we love making girls dreams come true not only on their wedding days, but on all the fun occasions leading up to the big day! 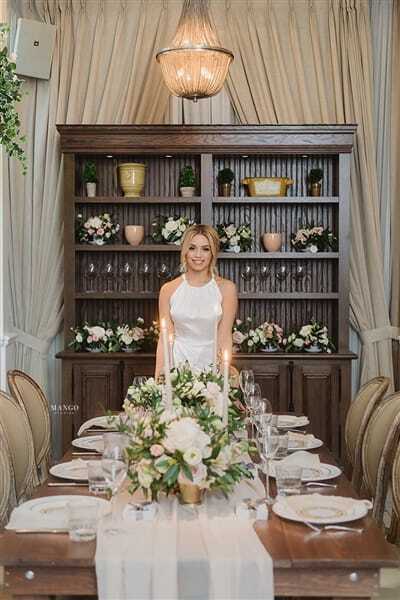 We partnered with The White Book Company to produce this incredible French Tea Party contest where one lucky bride would win the entire shoot to celebrate her amazing bridal shower! March 1st, we randomly drew the lucky bride. If you follow us on Instagram, you would have seen that we had a lot of fun (and anxiety) choosing the one girl to win it all! …and the winner was…Ashley Bloomfield!!! 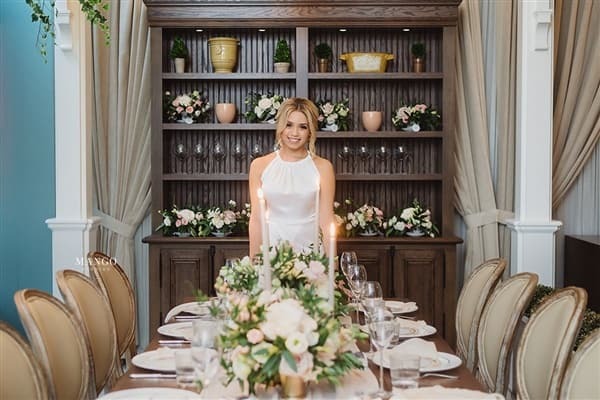 This gorgeous bride got to invite 10 of her favourite people to be treated to a stunning soirée at Colette Grand Café along with stunning treats, goodies, flowers and stationery created by all the amazing vendors that took part in this contest! The best part? She won a custom shower gown designed by us! We had Ashley visit us in our store to be fit into her stunning ivory shower dress. After one fitting, it was the perfect fit and we sent her dream dress on it’s way to her shower for her to slip into after being glammed up by Ladylyn Gool and Dawna Boot makeup! Check out the photos below of her amazing night in our gorgeous dress! …Love her dress as much as we do? Contact us to order one! !